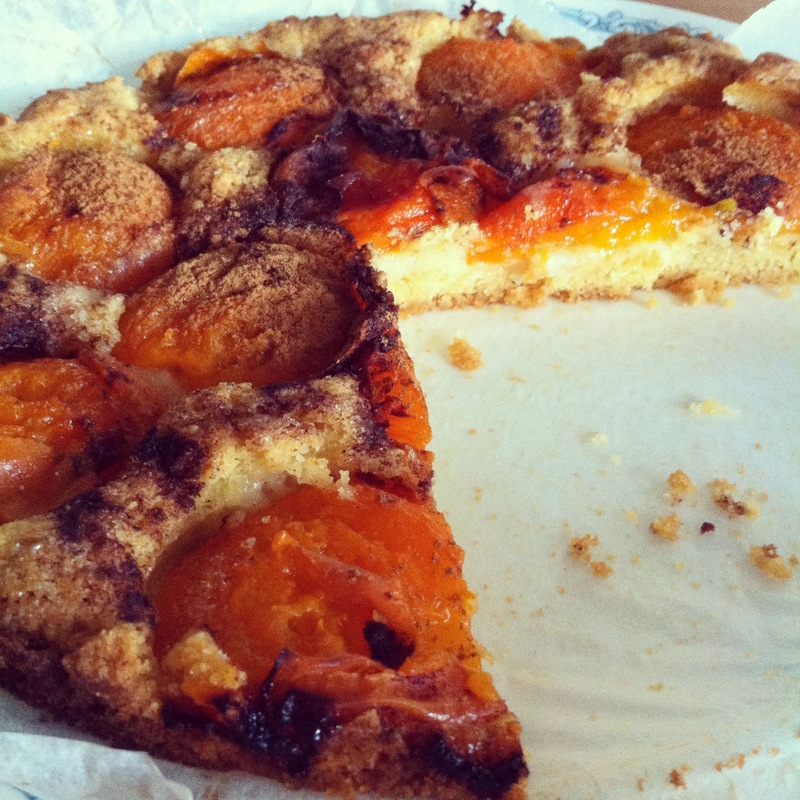 Apricot bretonne is undoubtedly the recipe to start this blog. 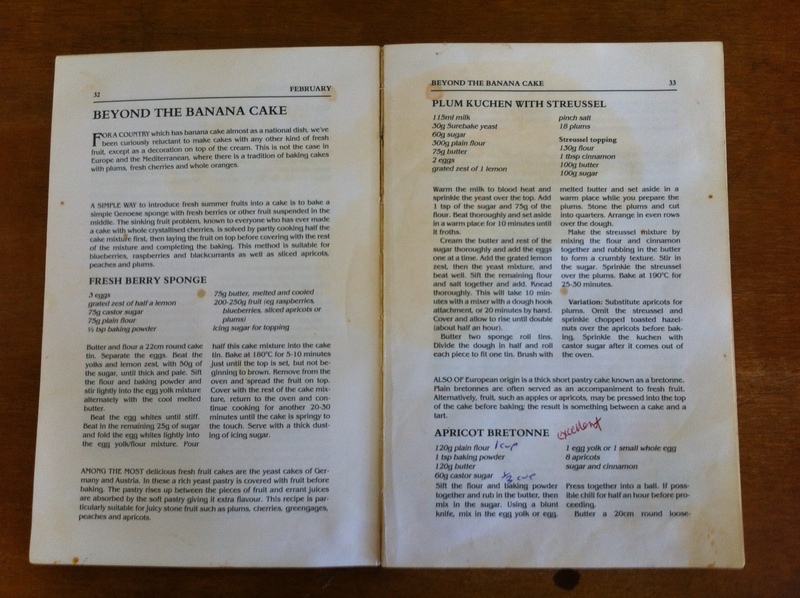 Mum’s copy of Good Food falls open at this page; the spine slightly cracked and the page splotched with buttery fingers and annotated with mum’s handwritten note: ‘excellent’. And it really is. This is one of the very best summer desserts in my opinion. A tender, crumbly shortcake topped with tangy, melted apricots sprinkled with cinnamon. You can’t improve upon this; it’s already perfection. First off, make the cake dough, which needs to rest in the fridge for half an hour before you use it. Put the flour, baking powder and butter into the bowl of a food processor and process until the butter is finely chopped and dispersed through the flour. Add the sugar and process again. Now add the egg yolk and process until the mixture starts to clump together. Cut a piece of cling film and lay it flat on the bench, then tip the cake dough onto this. Form the dough into a wrapped-up ball by bringing the corners of the cling film together. Put the dough in the fridge to rest. Preheat oven to 180°C and line a 20cm round loose-bottomed tin with baking paper. 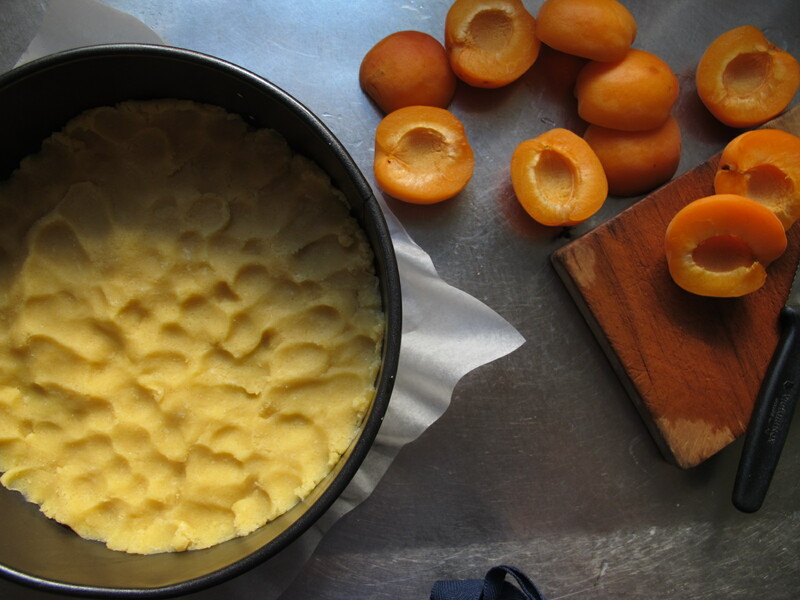 Prepare the apricots by cutting in half and removing the stones. Once the dough has rested, push it into the base of the tin – it doesn’t need to be smooth, but ensure it’s an even-ish thickness. Place the apricots on top, cut-side down, and sprinkle over cinnamon and caster sugar. Bake for 35 – 40 minutes until golden brown. Eat the bretonne while it’s still warm with vanilla ice cream.